The decision taken at the back end of 2010 saw JPM branch into the production and maintenance of towable tankers, with this market seeing large growth through 2010 it was seen as an excellent opportunity to expand the company while staying in line with our core activities. Operations started in late March of 2011 and the first orders came in. 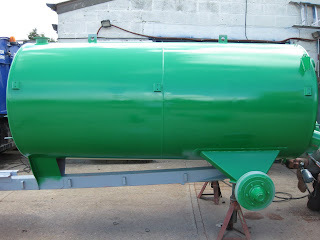 The first of the 1600 Gallon (7273 Ltr) tankers to roll of the new JPM Contractors Ltd production line. 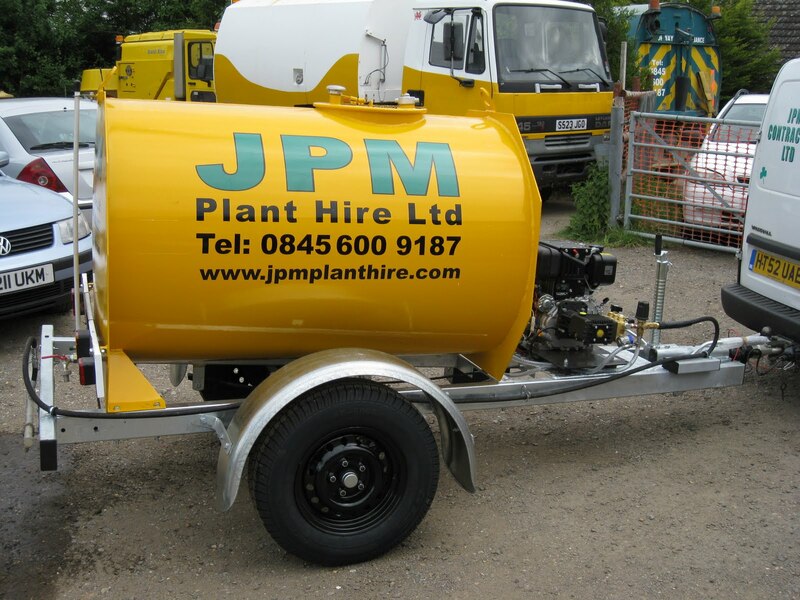 This new venture for JPM Contractors Ltd now places us in the position of being able to provide bespoke tankers for our varied range of customers. From design to branding, we can control the whole process making sure that our customer is able to purchase with confidence. We provide a wide range of attachments to suit any environment, from high pressure jest washers to dust suppression spray bars and much more. This particular unit was designed for one of our Construction customers to help with dust suppression on a London building project during the summer months. 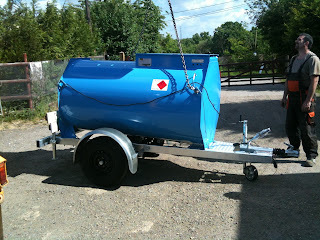 With this 1000 Ltr capacity unit we are able to display our branding capabilities. 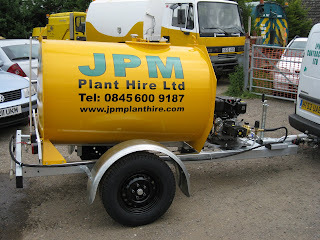 From logo design through to sign writing, JPM Contractors Ltd handled the entire process. This unit was fitted with a rear spray bar to allow towing behind a tractor unit, once again for dust suppression, a common theme in the building industry. More and more construction companies have a greater understanding of the importance of getting their message across, there are few ways for a construction company to do this, however, sign written plant working out in the field is definitely a high impact message. JPM Contractors Ltd can handle your project from start to finish and even supply the unit. This can be done on contract hire or contract purchase basis. Another of the options that we are able to supply is this bunded fuel bowser 1500 Ltr capacity, ideal for when plant needs to remain on site in locations without a constant fuel supply. Full branding and logo design also available.